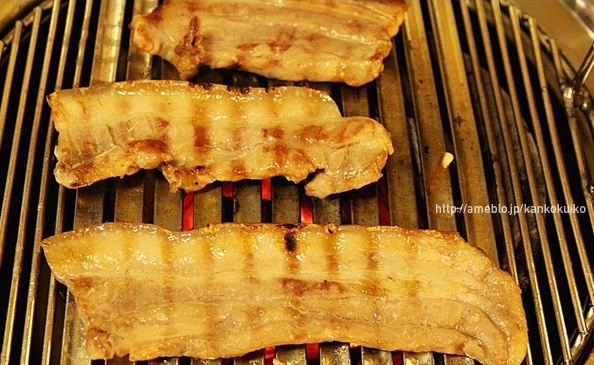 There are so many Korean barbecue places everywhere, but this place is for real. I don't know if this is the origin of Korean barbecue, but it's so good that doesn't really matter. 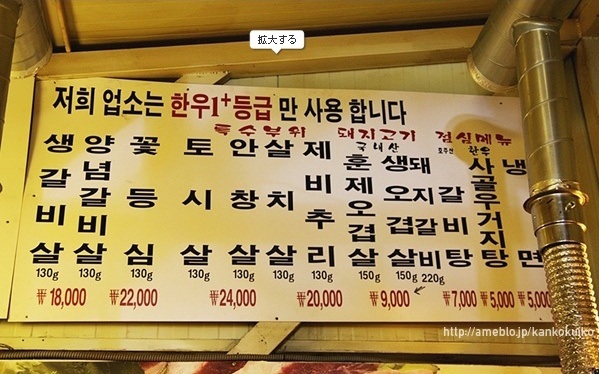 It's called Josun Barbecue Place (조선 화로구이= Josun Hwaro Gu Ee). This place has a pojangmacha-ish kind of an atmosphere and a look, but this is just a part of the restaurant. 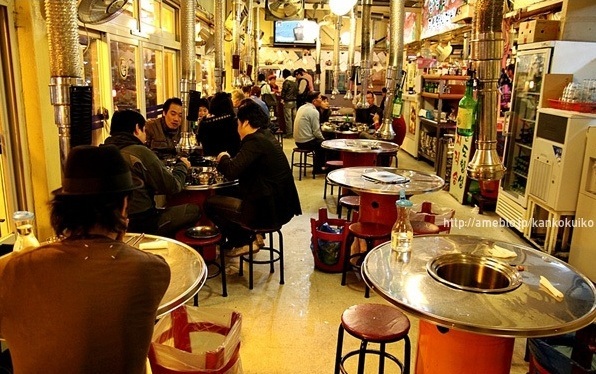 The entire restaurant is actually much larger and spacious. Also... I think this place was in a movie...? there are celebrity signatures all over the place. You should know by now that celebrity signatures = great place. They sell so many different parts of beef or pork. They even sell duck and some chilled noodle cuisines. 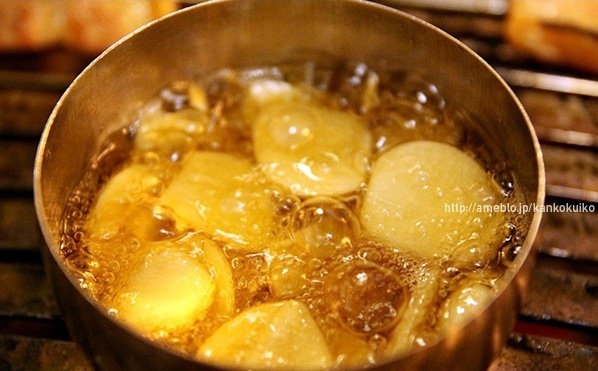 Unlike the U.S., banchan(side dish) is required in any Korean food, even steak or barbecue. 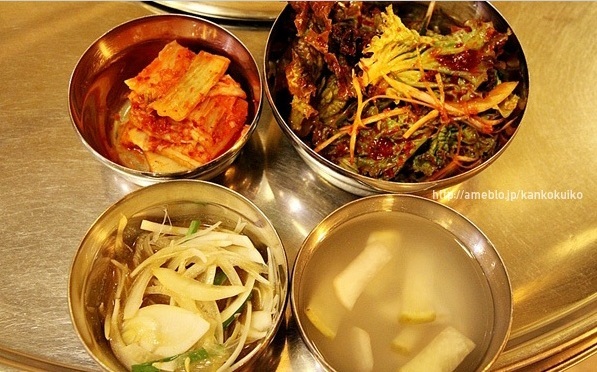 The side dishes here were kimchi, white radish water kimchi, spicy lettuce salad, and seasoned onion salad. 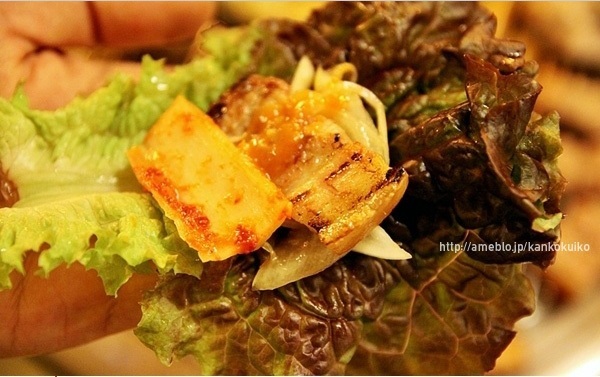 Banchan is to be eaten with the main food, not just by itself because it may be a bit too salty. they do in the U.S. It's meant to be eaten with the main food. Don't forget it!!! 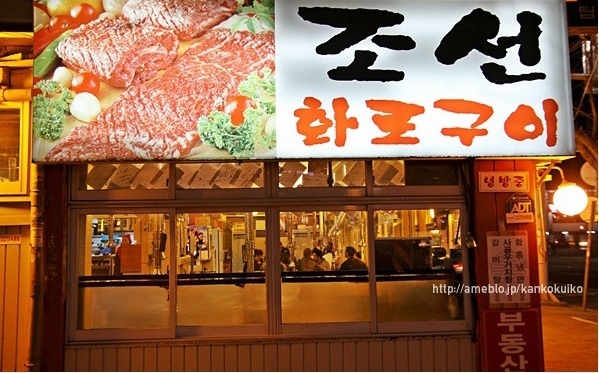 because I see so many foreigners totally just rant-rage that Korean food is too salty for their taste. Duhhh because you're not supposed to just eat them by themselves!!! EAT THEM WITH YOUR MAIN DISH OR RICE!!! 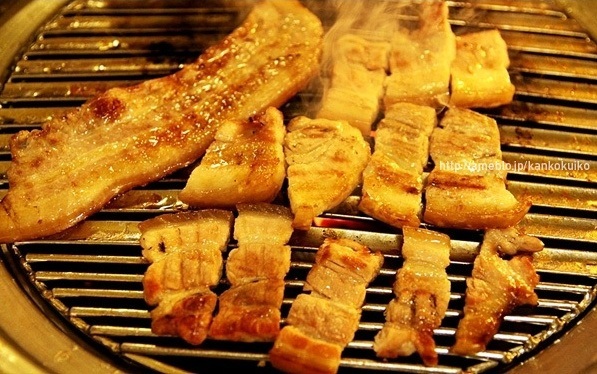 We ordered pork, and it's already cooked on barbecue coal outside the restaurant. Another thing you can't forget here is grilled garlic. even gets a little sweet when cooked. 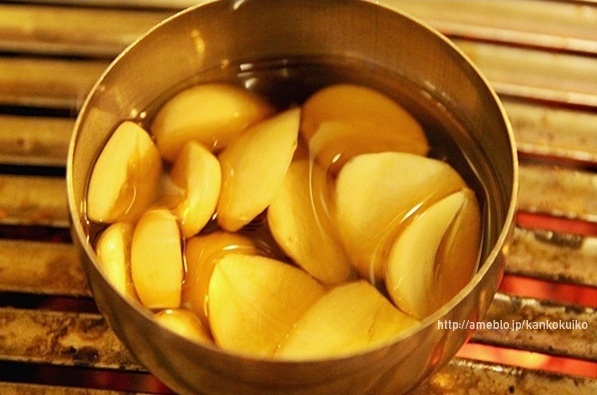 We dip them in sesame oil and grill them, which complements the pork. and put it in your mouth all in one bite. try taking bites like you would with sandwiches, and you'll find out. so just take it in one bite! 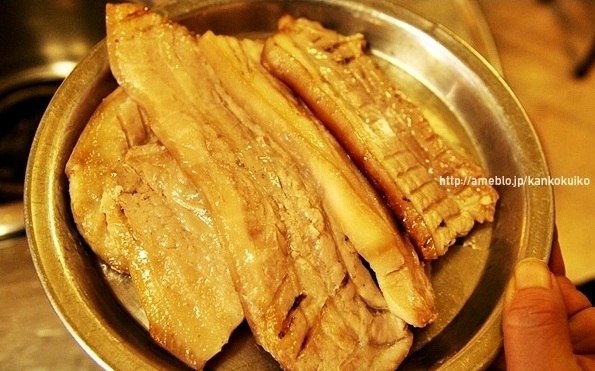 This is the Dwenjang Chigae that always accompanies Korean barbecue. I'll promise you they'll all taste really good. If they don't, they wouldn't be able to stay in business. 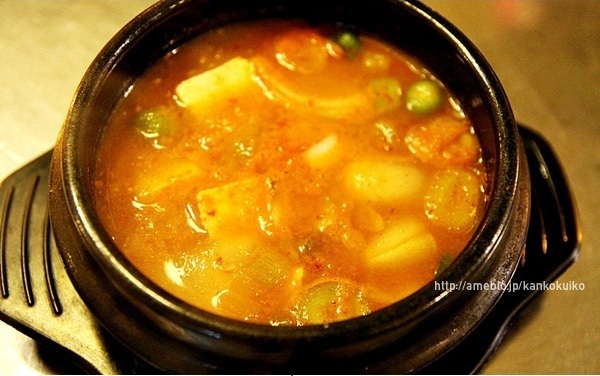 This soup is really good with rice and kimchi, fyi!!! Maybe make reservations on the weekends!